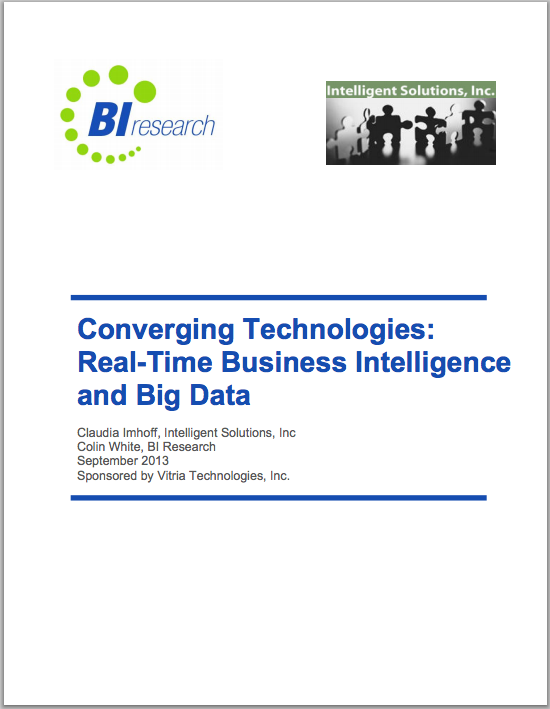 Download this complimentary research publication to learn how to unobtrusively extend your existing BI and enterprise data warehouse environment to enable continuous, real-time analytics over streaming Big Data. This research publication outlines how real-time Operational Intelligence capabilities complement an existing enterprise data warehouse implementation. It explains the benefits of extending your current infrastructure to incorporate real-time Operational Intelligence, through use cases from various industries. Learn how an extended data warehouse with Operational Intelligence is the new best practice for real-time Big Data Analytics.